Men’s lacrosse improved their record to 8-2 with two wins and one loss this week. The Cardinals have solidified their spot in the top ranks of Division III lacrosse. The men’s team sits fifth in the nation, one spot behind where they ended last season. Even more impressively, Wesleyan has claimed the Little Three crown for the second consecutive season. On the last day of March, the Red and Black faced Colby. The Cardinals went on to wallop them 17-4. Cole Turpin ’18 racked up five goals and an assist, while Ronan Jacoby ’21 also had six points with four goals and two assists. 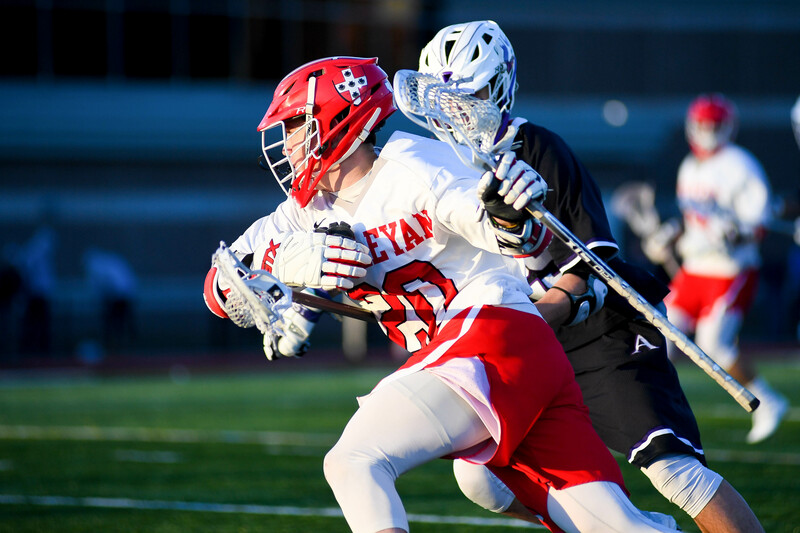 Carter Hawthorne ’19 led the squad with seven points as he recorded six assists and a goal. The Cardinals dominated the stats, outplaying the White Mules in every category but one: saves. Otto Bohan ’20 can be forgiven since the Cardinals shot the ball 57 times to the Mules’ 19. Cementing his stardom on a talented team, Jacoby had four points to lead the Cardinals over a difficult Amherst opponent on Wednesday, April 4. Jacoby assisted Hawthorne for the game-winning goal, putting Wesleyan over the Little Three foe, 12-11. The Mammoths stayed in the game by winning twice as many face-offs as the Red Birds. Amherst also recovered 44 ground balls to Wesleyan’s 35. The Cardinals’ would have been utterly crushed if it weren’t for the 19 saves and near 70 percent save rate of Bohan. In the final minutes, the Mammoths put up a great effort to send the game to overtime. With less than 20 seconds remaining in the game, Bohan made one last save, effectively ending the game. The win allowed the Cardinals to take the Little Three championship, defending its title from last year. Unfortunately, the success of the team halted against Tufts. Tufts, who is ranked number three in the country, presented a Jumbo-sized challenge for the Cardinals. The match started well for the Cardinals with Harry Stanton ’18 scoring a goal less than a minute after the game started. That would be the first of four goals for Stanton against Tufts. Bohan didn’t have a bad game either with 19 saves. Tufts simply played better—not by much, but better. The Jumbos shot more, recovered more groundballs, and turned the ball over less than the Cardinals. Tufts racked up four goals in the second quarter, while Wesleyan had none. Though the Birds staged a valiant effort in the second half, it was too little to regain the lead. Tufts bested the Cardinals 14-11. The loss is just the second of the season, but it isn’t a bad loss. The Cardinals remain in the top five teams in the country behind RIT, York College of Pennsylvania, Tufts, and Gettysburg College. The team held their own against a strong Jumbos squad, which is promising for the postseason. This loss stings, however, because the Cardinals now have a worse regular season record than last season when they lost only once. 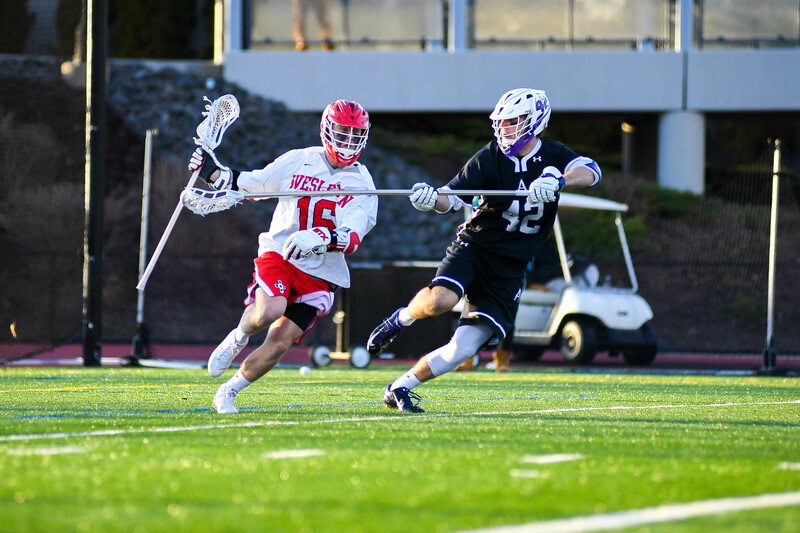 On April 10, Wesleyan faces Trinity in a battle of the birds. Trinity is another top-ten ranked team and presents another opportunity for Wesleyan to prove its merit. This will be the last serious contender that the Cardinals will face during the regular season, after which they will play Bowdoin, Hamilton, and Conn College, respectively. As the regular season ends, it’s becoming unclear how the Cardinals will fare in the playoffs. The team can hang with the best teams in the country, but it seems as though they lost some of the dominance they had last year. Regardless, the team fights on, staying near the top of the rankings in a talented field. But if the postseason doesn’t pan out, there is a backup team. Ohio Wesleyan is ranked twelfth and also has a shot in the playoffs.